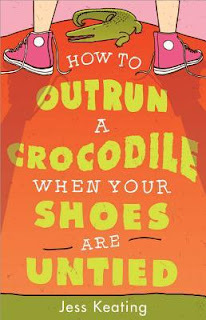 How to Outrun a Crocodile When Your Shoes Are Untied is the first in a series that I'm very excited to add to my classroom library. I'm always on the lookout for appropriate middle grade novels that are realistic to the lives of my students. True, our heroine Ana lives in a zoo, but she has a typical seventh grade life of family embarrassments, crushes, and friendship changes. Author Jess Keating was a zoologist before turning to books, and this shines through in the novel. Each chapter starts with truly fascinating facts about animals that I found myself sharing with whomever would listen. 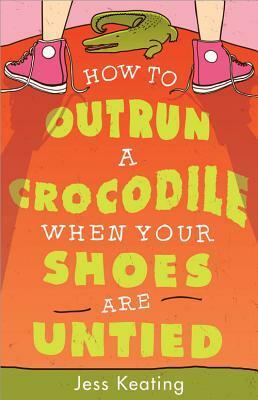 Sixth graders love animal books and this nicely mixes that content with adolescent situations. I loved Ana's voice and think my students will relate to her insecurities and share her mortification at some of the events in the book. There are some laugh out loud moments and Ana has a twin brother, which should appeal to the male readers in my class. Once I see how popular the first book is, I'll decide about adding the other two books to the library.